When her oldest friend in the world passed away, the blind elephant stood over her body for six hours. When people finally had to take the body away, she couldn't stop pacing and crying. 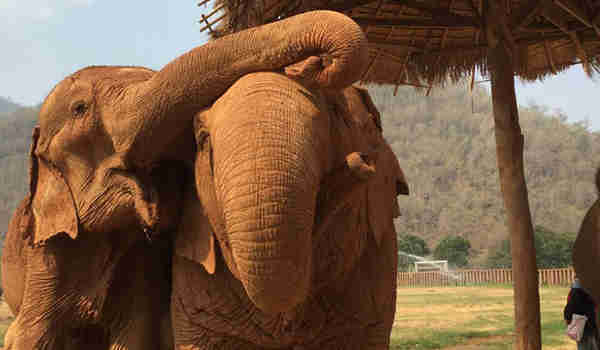 For Jokia, no one could ever replace Mae Perm, the friend who guided blind Jokia through constant darkness ever since they met 17 years ago, at Elephant Nature Park (ENP), a sanctuary for abused and worn-down elephants in Thailand. But even as she grieves Mae Perm, Jokia is learning to love again. 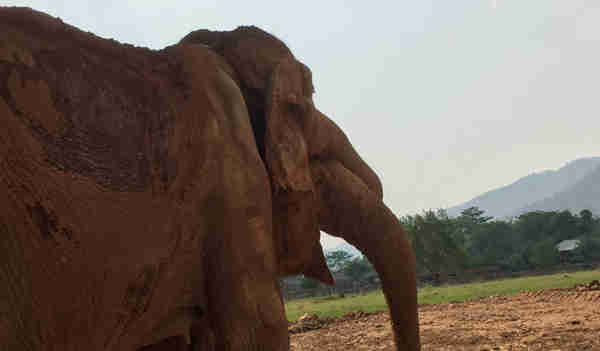 Yai Bua, another elephant at ENP, has been standing by Jokia in her time of need. "After Jokia lost her best friend, we worried about her mourning," ENP wrote on its website. "We try to walk her around the park to meet the other elephants and we hope she can find her new partner in a short time." 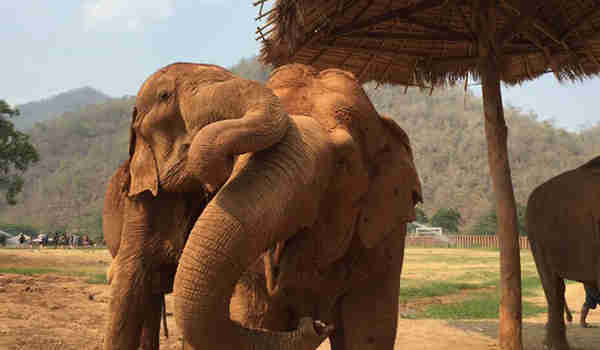 When Jokia met Yai Bua, an old elephant rescued from giving rides to tourists earlier this year, they seemed to hit it off. "Both of them seem to have a good relationship," according to ENP. "[T]hey used their trunk[s] to touch and hug each other." 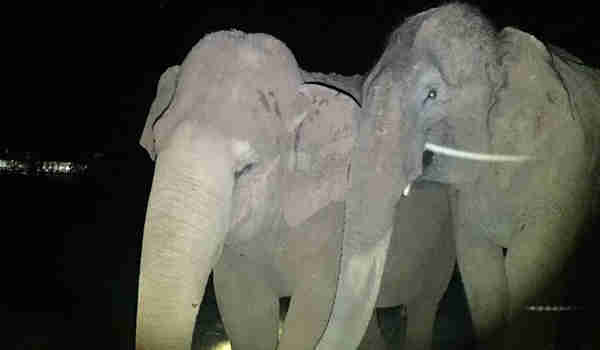 The people at ENP observed that Yai Bua even stays by Jokia all night to protect her. This is truly the beginning of a beautiful friendship.